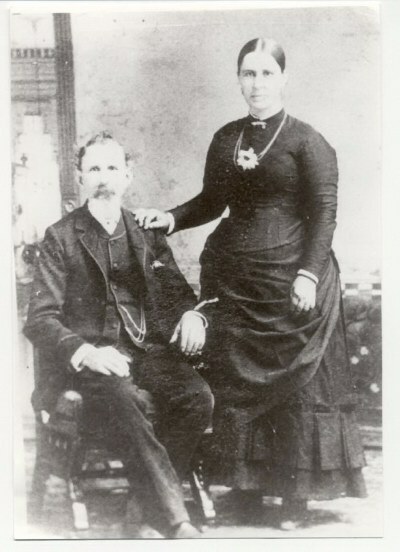 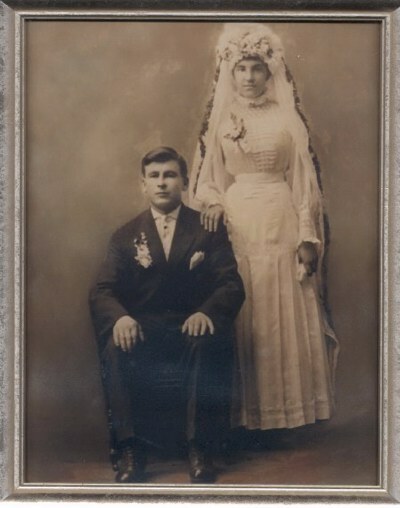 Thomas Roderick Butler and his wife, Mary Jane Davies Butler (about 1890). 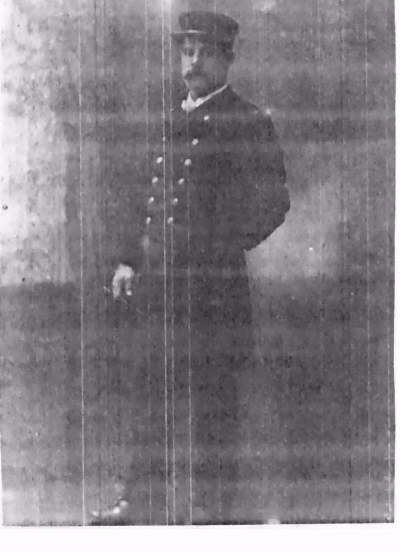 David John Butler in his volunteer fireman's uniform (about 1900). 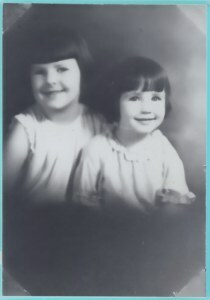 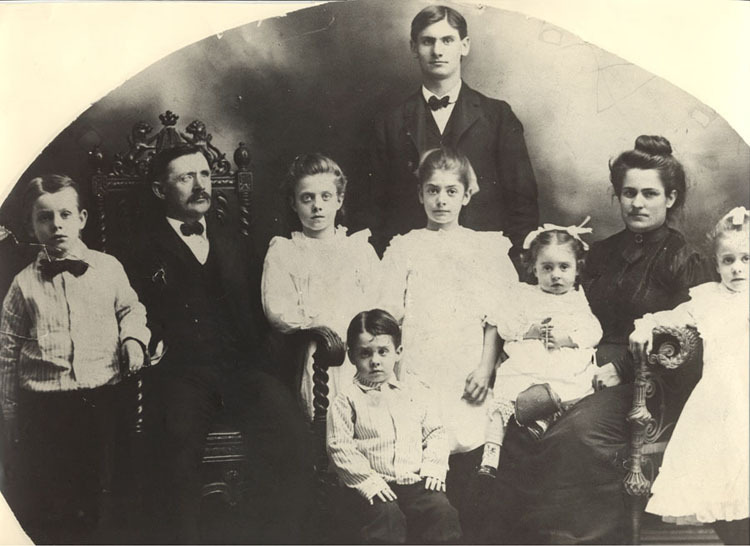 The Morgan Davies Family: (left to right) David, Morgan, Gwendolyn, Evan (Morgan's brother, in the back), William (in the front), Mary Jane, Sarah, Mary Elizabeth Rees Davies, Caroline.